This week on The First Run, Chris and Matt discuss the indie horror film that’s sweeping the nation, ‘Mandy’. 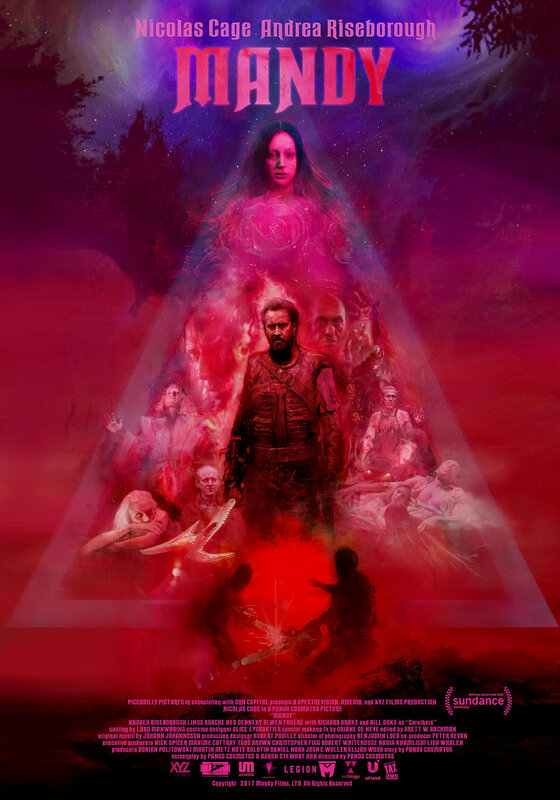 Director Panos Cosmatos appears to have harnessed Nic Cage’s madness and delivered a waking nightmare of color and mood. Is the film already a cult classic or a horrible misfire? Then it’s on to the final film in our Martial Arts Marathon with ‘King Boxer’ or ‘The Five Fingers Of Death’. Does the marathon wrap up with a bang or a whimper? There’s the terribly exciting list of Blu-Ray & DVD Picks, featuring the Streaming and Straight to DVD Picks of the Week. The big show then wraps up with our Martial Arts Marathon Awards! Which film was the best of the bunch? What was the best fight scene? Who provided the best performance? And more! So focus that chi and download the latest episode.